Today, several book bloggers are meeting at the BBC Convention in NY and discussing various blogging topics including Writing and Building Content as well as Marketing. 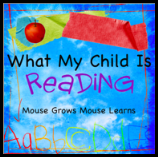 A while back, another blogger asked me how I connect with other blogging moms that love books. 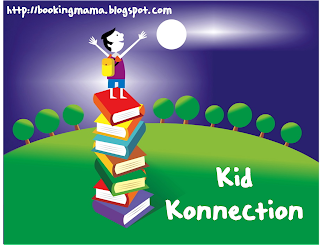 The book blogging community is a wonderful place to start, but I've also connected with a number of wonderful book-loving moms outside the book community. Most often I've discovered their blogs while participating weekly meme/link-ups. As far as building content for blogs, do like the link-ups. I follow so many great bloggers and would love to read each and every one of their posts every day, but the reality is that my personal life just doesn't allow me unlimited time online reading hundreds of daily posts. The weekly link-ups give me a chance to reconnect weekly with bloggers I've met over the last two years. The memes also serve another purpose in providing me with some inspiration and motivation for my book review postings. Florinda at The 3 R's Blog offers a slightly different view of memes today on her blog. I do agree that sometimes bloggers rely a little too much on memes for content builders. And I also agree that it's important to make sure to personalize meme posts so that readers can get a sense of, as Florinda says, the "voice of its writer." But I disagree with the statement that a book blogger can outgrow memes. If you have a book blog and are serious about getting the word out about your blog, you would be doing yourself a disservice by ignoring memes and link-ups. When I spend my precious time writing a review, I sure hope that someone will take the time to read it. And from my experience, the posts I've written for link-ups in general get more traffic. But here's my little secret about participating in memes and content. Chose ones that allow you to post on a topic that could easily stand alone without the meme. Make memes a bonus, not the driving force behind a post. Your original content will shine through and just maybe someone new will stop by your blog and say hi! 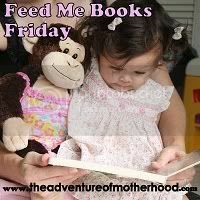 Zoe at Playing By the Book posted a couple great lists of kids’ book memes and weekly play memes in April. I've expanded her lists and also added a few other general memes. There's also a good list of memes in the Book Blogger Appreciation Week Events Calendar. If you know of any other memes that fit this list, please let me know! Wordless Wednesday or Wordful Wednesday hosted by several blogs including 5 Minutes for Mom and Seven Clown Circus. Read more ArmchairBEA posts relating to BBC topics at today's Book Blogger Convention Roundtable linkup. I should probably qualify my statement about outgrowing memes. I do think it's possible to outgrow one you've been participating in for a long time, especially if the prompts start becoming repetitive. However, new memes crop up all the time, so it's easy to switch it up! Memes do have value as networking tools and blog fodder, and you've addressed some great ways to use them well - thanks for that! This is so great a really good way to find a lot of new memes. I would love to have my meme Fast Forward added to the other meme list. Another week has begun and it’s time to look forward and see what this week will bring. I started this meme because I thought it was a good way to let readers know what will happen in the coming week and at the same time you get to know the blogger behind the blog a little better. I would love to hear what you are reading this week and also tell me, what are your plans for the week?